The absurdity of if. This is from the Republican Party that in general tends to believe that the federal government should not play a big role in people's lives. Pure hypocrisy. 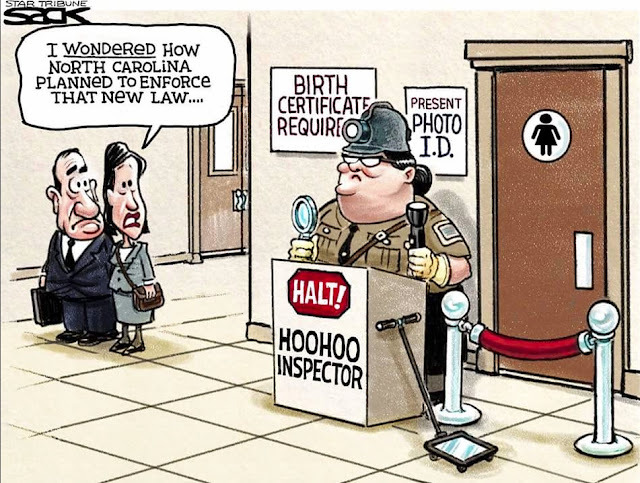 Shame on you North Carolina politicians!